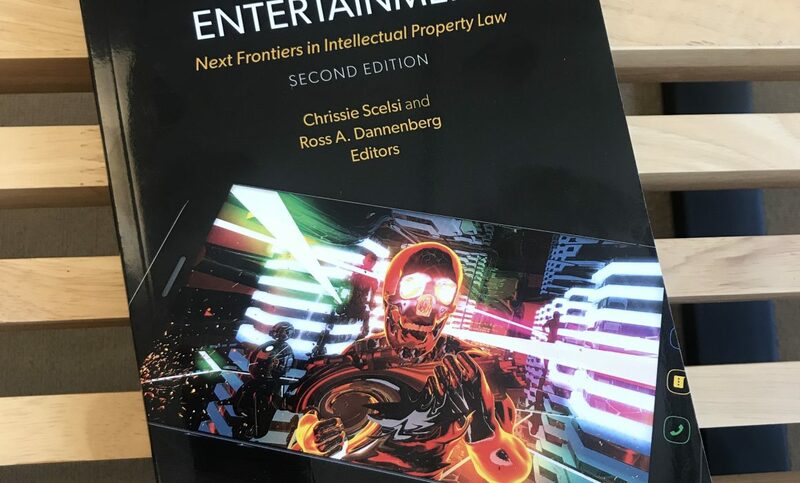 We are proud to announce the publication of Computer Games and Immersive Entertainment: Next Frontiers in Intellectual Property Law (2nd ed., Jan. 2019), edited by Christina Scelsi, J.D., LL.M. and Ross Dannenberg. This is the second edition of our video game law treatise, with chapters authored by Lynne Boisineau, Michael Bombace, Steve Chang, Ken Cheney, Josh Fairfield, William K. Ford, Anna King, Steven M. Kushner, Adam Losey, Ben D. Manevitz, Marc Mayer,Thomas Mihill, Curtis Peele, Brian Sites, andSanford Warren, with research assistance from law student Andrew Thomas. A true team effort. CONGRATS EVERYONE! 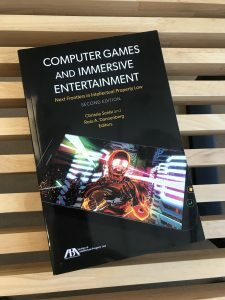 hashtag#videogames hashtag#intellectualproperty hashtag#treatise Get your copy today at https://www.americanbar.org/products/inv/book/349316639/. Now Available! Legal Guide to Video Game Development, 2nd Ed. Written by experienced lawyers who work closely with software and video game developer clients, this is THE inside guide to the legal issues involved in taking an idea and creating a product, from beginning to end. 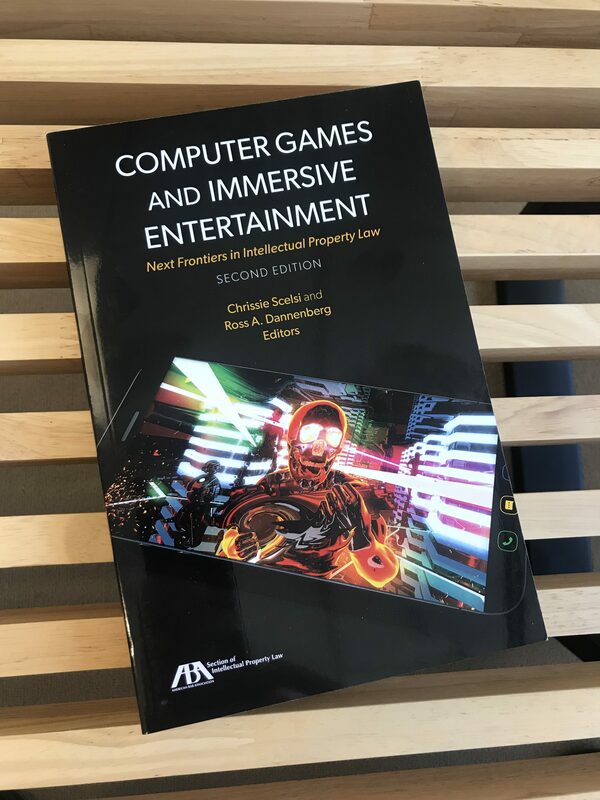 This authoritative handbook takes you through the legal morass of producing a video game, from the moment you get the original idea through publication. This practical, prescriptive book is an essential resource for legal professionals with clients in the area as well as for video game developers. The Patent Arcade’s own Ross Dannenberg is a contributor to a new book on early video game history. Before the Crash: Early Video Game History, edited by Mark J. P. Wolf, will give readers a thorough overview of the early days of video games along with a sense of the optimism, enthusiasm, and excitement of those times. Students and teachers of media studies will enjoy this compelling volume. Following the first appearance of arcade video games in 1971 and home video game systems in 1972, the commercial video game market was exuberant with fast-paced innovation and profit. New games, gaming systems, and technologies flooded into the market until around 1983, when sales of home game systems dropped, thousands of arcades closed, and major video game makers suffered steep losses or left the market altogether. In Before the Crash: Early Video Game History, editor Mark J. P. Wolf assembles essays that examine the fleeting golden age of video games, an era sometimes overlooked for older games’ lack of availability or their perceived “primitiveness” when compared to contemporary video games. In twelve chapters, contributors consider much of what was going on during the pre-crash era: arcade games, home game consoles, home computer games, handheld games, and even early online games. The technologies of early video games are investigated, as well as the cultural context of the early period—from aesthetic, economic, industrial, and legal perspectives. Since the video game industry and culture got their start and found their form in this era, these years shaped much of what video games would come to be. This volume of early history, then, not only helps readers to understand the pre-crash era, but also reveals much about the present state of the industry. TO PRE-ORDER OR PURCHASE THE BOOK, CLICK HERE. Mark J. P. Wolf is a professor in the Communication Department at Concordia University Wisconsin. His books include Abstracting Reality: Art, Communication, and Cognition in the Digital Age; The Medium of the Video Game; Virtual Morality: Morals, Ethics, and New Media; The Video Game Theory Reader; Myst and Riven: The World of the D’ni; The Video Game Explosion: A History from PONG to PlayStation and Beyond; The Video Game Theory Reader 2; and the forthcoming two-volume Encyclopedia of Video Games. He is also founder of the Landmark Video Game book series and the Video Game Studies Scholarly Interest Group within the Society of Cinema and Media Studies. We wanted to let everyone know that we have a new book in the works, tentatively titled “The Business of… Video Games!” This is a self-help introduction to legal issues that smaller, startup, and independent developers face, from intellectual property to contracts to managing risk to business formation to publishing. If you are “in the industry” and might be willing to review an advance copy and provide a quote about the book in exchange for a free copy once the book is published (tentatively scheduled for July/August 2011), please send me an email (rdannenberg -at- bannerwitcoff -dot- com).